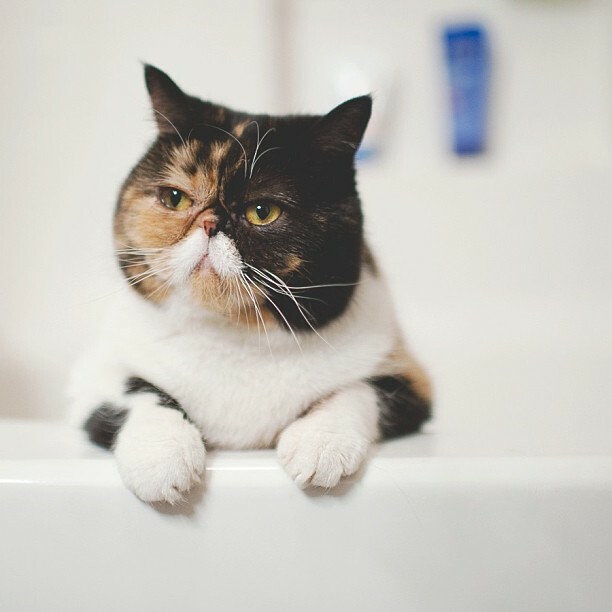 We are thrilled to share that OneHotLap has been acquired by world-famous Pudge The Cat. Most of you have probably seen the adorable two-faced exotic shorthair cat with a mustache all over the Internet. Truth is, cats, not cars, have mass appeal. Most people would rather read about interesting cats and when it comes down to exotic cats, Pudge The Cat has no competition. Pudge's fan numbers tell the story: 6,820 Facebook fans, over 1,000 Twitter followers, and amazingly, 41,000 followers on Instagram! While OneHotLap can barely give away its t-shirts below cost, Pudge The Cat has a thriving online store. At the current pace of growth, it would have taken take OneHotLap at least 5 years to get anywhere close to Pudge's level of popularity. We are very excited about the opportunity to work under the Pudge umbrella. We will be covering Pudge from a racing angle: estimates for his lap time around various racetracks and autocross events, as well as modifications and type of grooming needed to speed him up while keeping his maintenance affordable. Please continue to support us in our new venture and be patient as we give OneHotLap a major makeover in the next few days. Send us your thoughts on the Pudge acquisition and let us know what other Pudgy topics you'd like to read about. What generates mass appeal is cats, not cars?! You guys are total SELLOUTS! He is so cute! I hope you reach 1,000 followers on FB thanks to Pudge. I want to know what type of brush Pudge uses to comb his hair. He just stands in the wind tunnel until the whiskers look right.